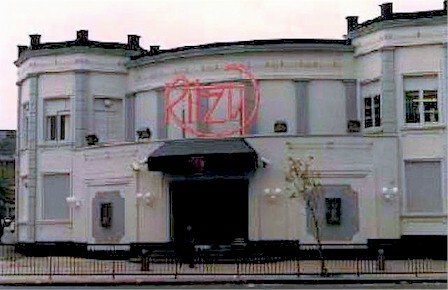 The building opened in 1910 and was initially a roller skating rink. 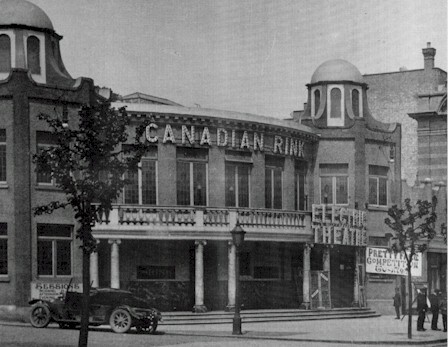 However, within a year, they decided to convert it to an Ice Skating venue and it was renamed as the Canadian Rink. We have also been informed that at the outbreak of the WW1 the building was used for a time as an Army Recruitment Centre. 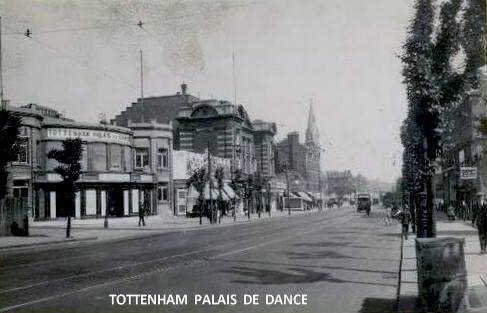 In the years following the First World War attendances as an Ice Rink declined and in so 1925 it was converted to what most people will now recall as a dance hall and it was renamed as the Tottenham Palais where it also became known as a popular Jazz venue. 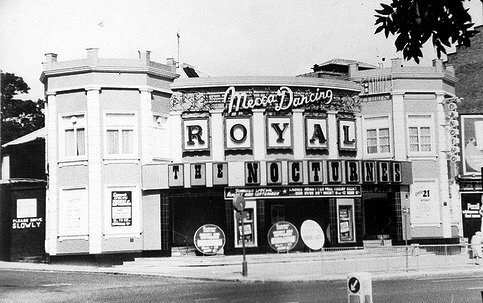 The building was later acquired by Mecca and renamed again to the more familiar Tottenham Royal. 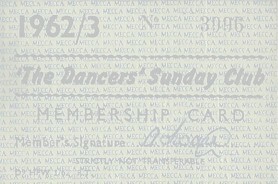 Mecca had a number of other Dance venues in London including The Lyceum in Central London and The Locarno in Streatham to name just a few. 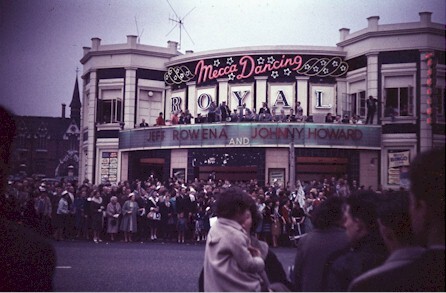 In the early post war years it was the big Dance Bands that played at the venue such as Ted Heath, Joe Loss, Victor Sylvester, Geraldo, Edmundo Ros and Ambrose but things really took a change during the Rock N Roll era in the 1950s and 1960s. 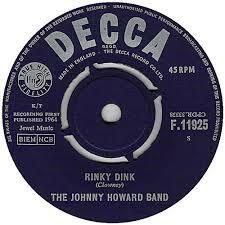 Some of the regular bands at this time were The Johnny Howard Band and the Jeff Rowena Group. 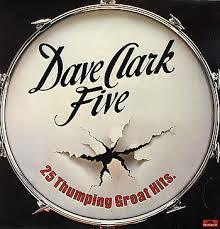 At the commencement of their huge world-wide success local band The Dave Clark Five also performed there stomping out many of their biggest hits like. 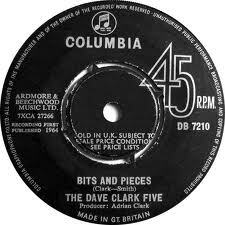 Glad All Over and Bits & Pieces etc. 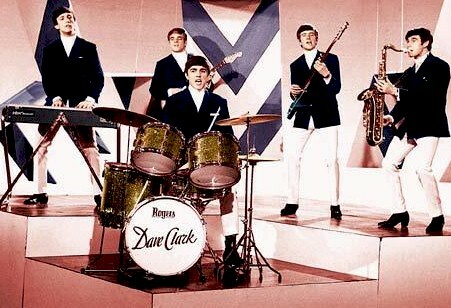 Throughout the 1960s there were a succession of other top groups who performed there including The Migil Five , The Troggs, The Who and The Animals. 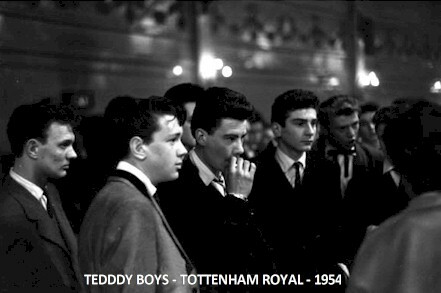 It has also been suggested that during this period the notorious Kray Twins were among some of the regular visitors. 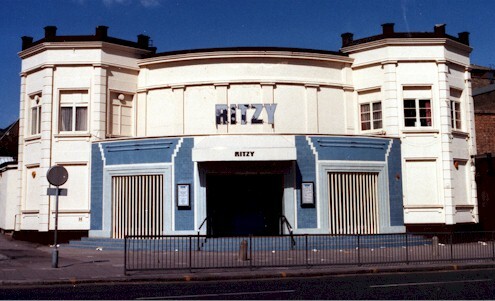 The venue had also become a modern style disco playing R & B music from America and Ska from Jamaica as well as the latest pop hits. 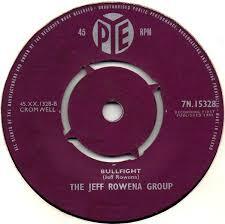 Tony Bushell - drummer for the Jeff Rowena 5 - became a stockbroker. 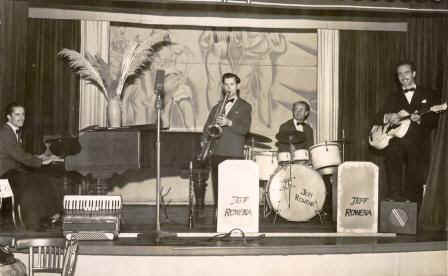 Gordon Mailer - pianist with the Jeff Rowena 5 - left to form his own 'Gordon Mailer Trio' with Bobby Smith and Pat Osborne. 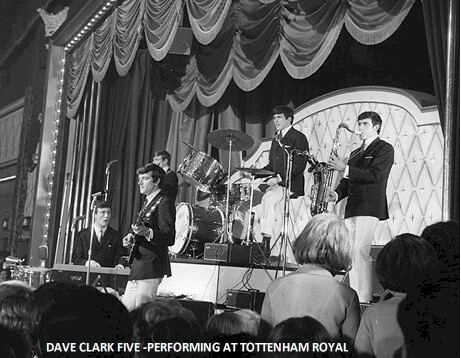 Georgie Fame used to perform at Tottenham Court Royal in the early 60's. 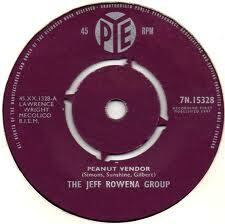 There was a revolving band stand and on the other side was the Jeff Rowena Seven who were the favourites at the time. 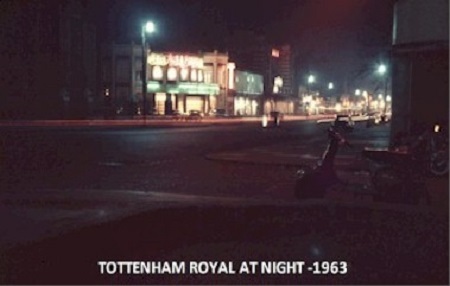 Resident at the Tottenham Royal. 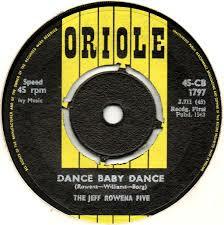 Namely Jeff Rowena Five. 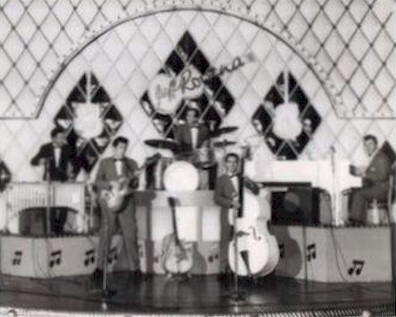 They were there around 1960 thru 1964. and their bass player George Boarg. 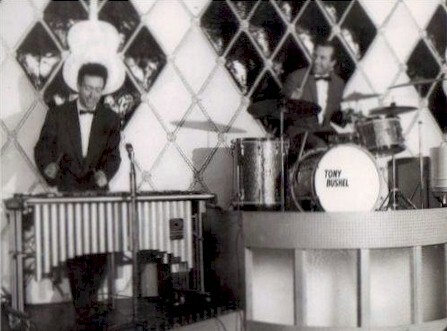 To see Tony Bushell perform his version of the Sandy Nelson classic Let There be Drums at the Tottenham Royal was an electrifying experience as the whole dance floor were captivated by his performance. 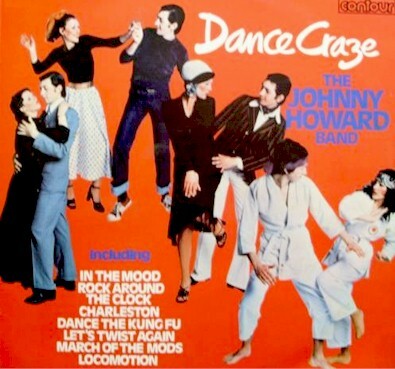 The Johnny Howard Band often featured on the popular BBC Radio programme Saturday Club and Easy Beat with the singers covering the hits of the day. 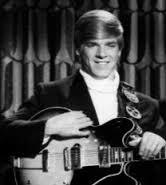 Sadly we understand that both Danny Street and Laura Lee have now passed away. 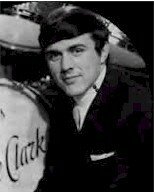 Perhaps one of the most famous bands that performed at the Tottenham Royal with local lad Dave Clark (From Philip Lane) fronting the group on drums. 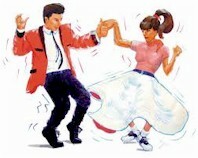 The other members of the group were also local having come from Edmonton and Walthamstow. 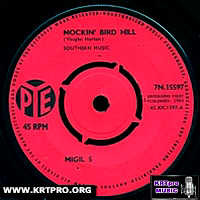 To further emphasise their Tottenham connections many of their top hits were published by Spurs Music Co. 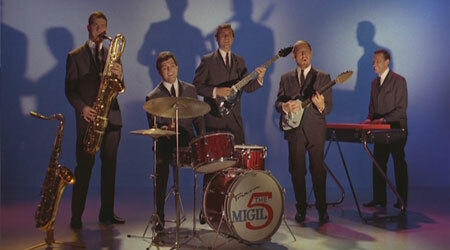 The group had a string of hits in the 1960s and were very popular in the USA. 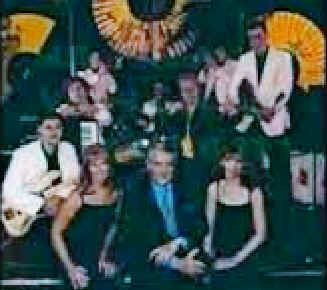 The band were inducted into the USA Rock N Roll Hall of Fame in 2008. 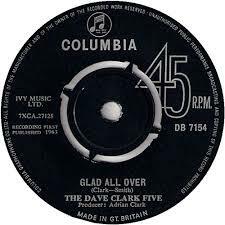 At the time of their hit singles' release (MockinBird Hill) the group were resident at the Tottenham Royal Ballroom, having succeeded the Dave Clark Five in the gig, when they came to the attention of Kenny Ball. 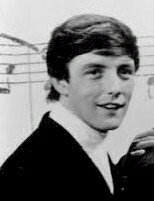 On his advice, they added a saxophonist to the line-up - Alan Watson who had formerly been with Georgie Fame's Blue Flames. 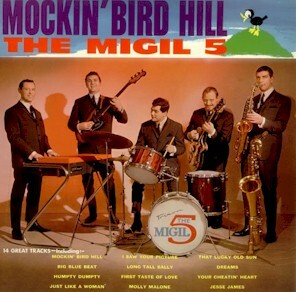 "Mockin Bird Hill" scraped into the top ten in the summer of 1964, but, apart from a minor hit with the follow-up, "Near You", further success eluded them.